There are actually four books in The Coalwood Series written by Homer Hickam, Jr.
From Publishers Weekly: Retired NASA engineer Hickam became a minor mass market celebrity in 1994 after a last-minute 2,000-word filler for Air & Space magazine (he spent three hours writing about launching homemade rockets in 1950s Coalwood, W.Va.) brought an avalanche of phone calls and letters. 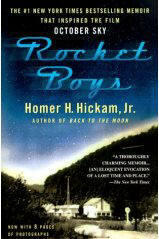 He expanded the article into 1998's bestselling Rocket Boys, filmed as the critically acclaimed October Sky (2001). Four hundred schools now use his memoirs in their curricula. The latest episode takes place in 1961 during young Hickam's first summer vacation from college, shortly after a foreman's death at the mine that Hickam's father supervises. Hickam (nicknamed Sonny) plans to read Robert A. Heinlein and meet girls in Myrtle Beach where his mother, Elsie, has a new dreamhouse, but Elsie insists he return home since his father is being accused of negligence in the foreman's death. Stuck in Coalwood, Sonny takes a difficult job laying track. Amid Sonny's travails with unrequited love, the track-laying competition and being stonewalled by his father and the locals when he asks anything about the death, state and federal inspectors arrive to investigate. Hickam prolongs the suspense in this cleverly constructed, richly detailed mystery peppered with colloquial dialogue and vivid characters. This pleasing book only reinforces his oeuvre. Strength and Courage from the Town That Inspired the #1 Bestseller and Award-Winning Movie "October Sky"
From Publishers Weekly: Hickam's latest book is a little different from the other feel-good stories that emerged nationwide after the September 11 attacks. 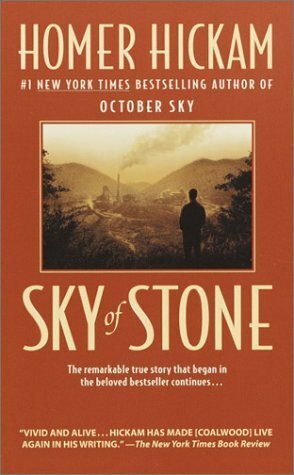 What sets his stories apart is where they all take place: the mining town of Coalwood, W.Va., the setting for his bestselling memoirs Sky of Stone and October Sky. In this inspirational guide to overcoming fear, Hickam shares anecdotes from his life, mainly having to do with the values he learned in the small, humble town of Coalwood. 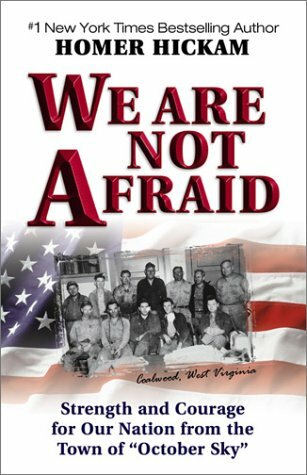 Each chapter explains one of the "Coalwood Attitudes" ("we are proud of who we are"; "we stand up for what we believe"; "we keep our families together"; and "we trust in God but rely on ourselves"); Hickam then finishes by delivering the kicker (or "The Coalwood Assumption," as he calls it): "we are not afraid." 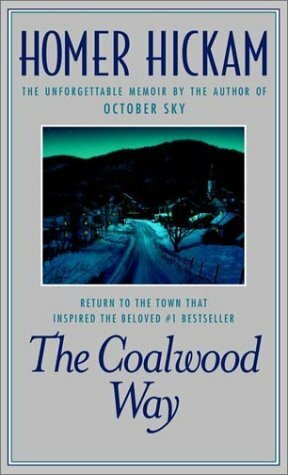 Although it would be easy to dismiss his yarns and advice as hokey or cutesy, Hickam's retelling of a wholesome upbringing in Coalwood is quite touching and heartening, providing assistance for the uncertainty many Americans have dealt with recently and will continue to face in the months ahead. "In today's world, fear seems to be everywhere," he writes. "If you want to stop being afraid... this book can help by teaching you a philosophy of life that will fill your heart and soul with a sense of well-being and confidence." Reading about how Hickam handled bullies in the fifth grade or how he didn't let fear overcome him while fighting in Vietnam may not change what happened last September, but it will give readers the gumption to persevere when the going gets rough.